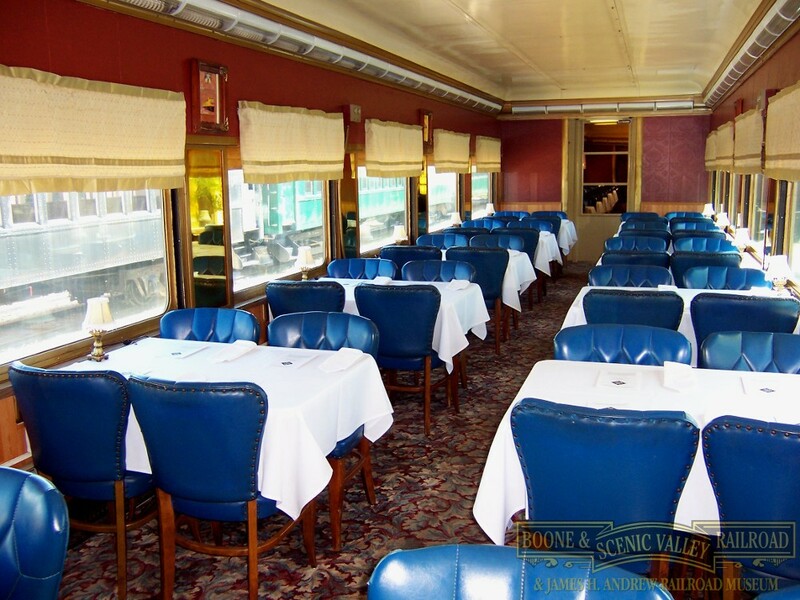 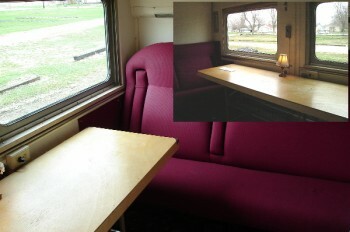 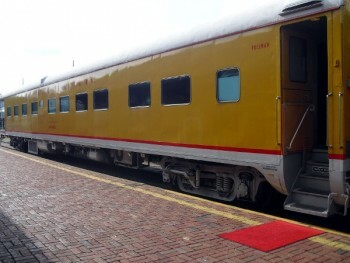 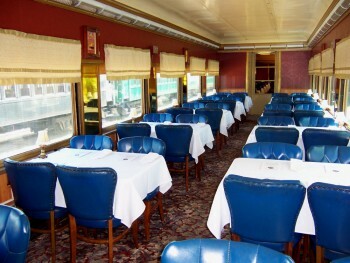 Saturdays from Memorial Day Weekend through October 31, enjoy lunch on the rails as you travel through the beautiful Des Moines River Valley in climate controlled comfort aboard the historic “City of San Francisco” or “City of Los Angeles” cars. 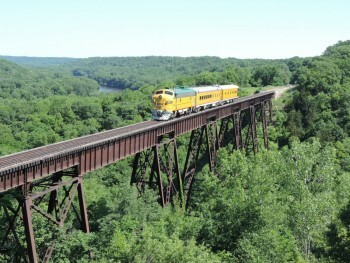 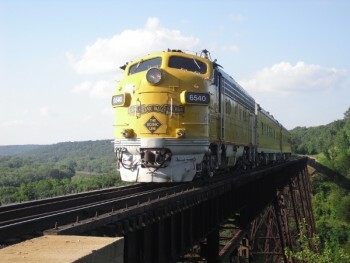 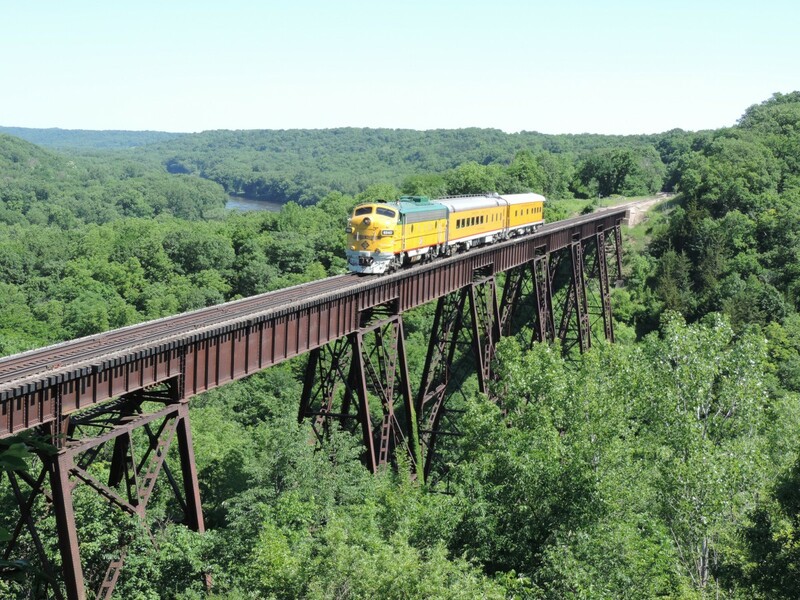 This train crosses the 156′ tall Bass Point Creek High Bridge, as well as the Des Moines River, on its journey through the scenic Des Moines River Valley. After passing through the old coal mining town of Fraser, the lunch train climbs its way back out of the river valley on an impressive grade. You will make your way across some of Iowa’s rich farmland, eventually making your way to the end of our line at the unincorporated town of Wolf. At Wolf, your crew will make preparations for the trip back down the hill, and soon you will begin our return trip to the depot at Boone. 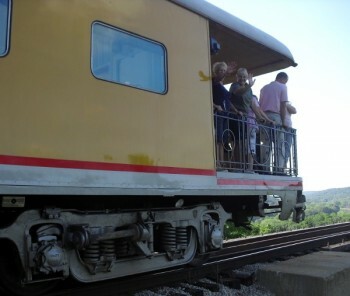 Is the train handicap accessible? 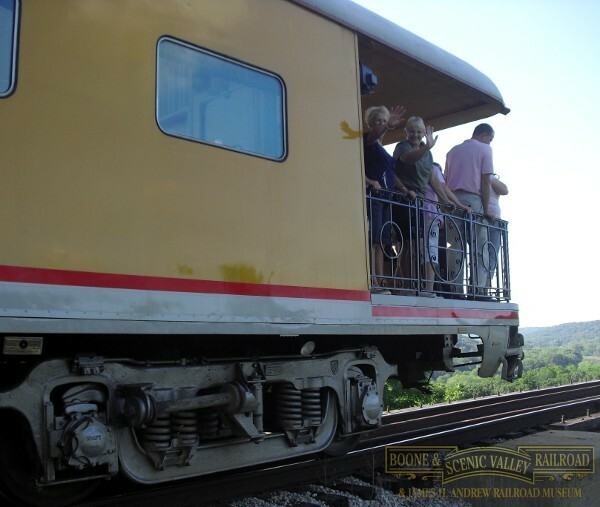 Unfortunately, due to the historic nature of the cars, they are not handicap accessible. 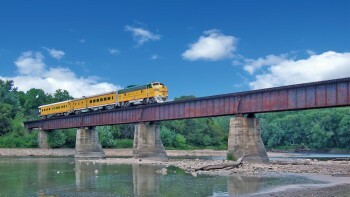 Is the train climate controlled? 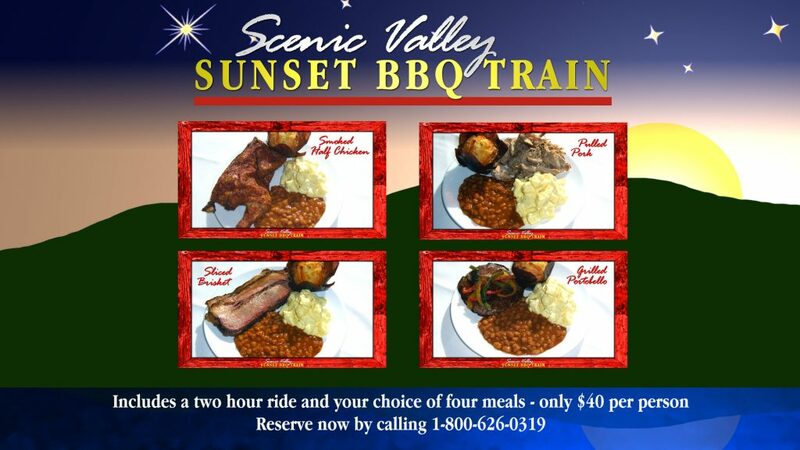 Yes, the cars are heated or cooled.